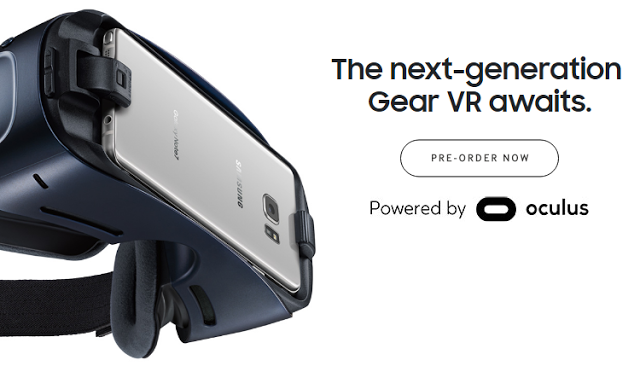 You can now preorder the new Samsung Gear VR, for release on August 19, direct from Samsung here. Besides the slightly larger field of view, compatibility with both USB-Type C and Micro USB, and the improved controls, the new Gear VR includes a USB OTG port. The OTG port allows the new Gear VR to receive data, not just power. One way that the OTG port will be used is to enable viewing videos from a USB drive connected to the port. The Samsung Internet browser will be updated to add this capability when used with the new Gear VR.